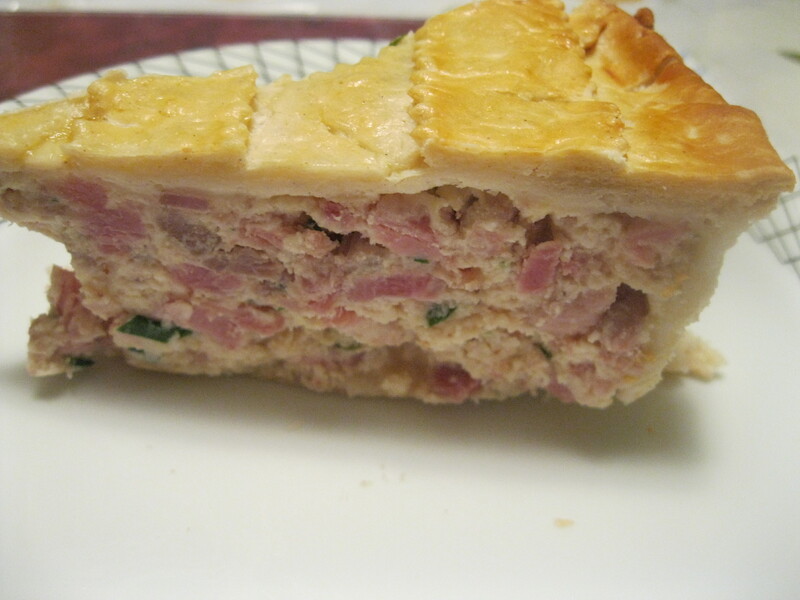 Pizza Rustica | Cooking With Mr. C.
*This Pizza Rustica Is Traditionally Eaten The Night Before Easter Sunday. Blend the flour, the butter, the shortening and salt in a food processor until the mixture is coarse. Blend in the eggs. With the machine running, add the water 1 tablespoon at a time until the dough forms. Roll the dough into a ball. Divide the dough into 2 pieces, with 1 piece twice as large as the second piece. Flatten the dough pieces into disks. Wrap in plastic wrap and refrigerate until the dough is firm enough to roll out, about 30 minutes. 2. Heat 1 tablespoon of oil in a large skillet over medium heat. Add the sausages and saute until golden brown, breaking the sausage into pieces, about 5 minutes. Transfer the mixture to a small bowl and set aside to cool. 3. In large bowl, add egg yolks and beat lightly. Stir in the ricotta, mozzarella, and Parmesan cheese. Add the sausage, fresh parsley, ham and prosciutto to the mixture and stir well. 4. Roll out larger piece of dough on a lightly floured work surface to a 18-inch round. Transfer the dough to a 9-inch springform pan. Trim the dough overhang to 1 inch. 5. Add the ricotta mixture into the dough-lined pan. 6. Roll out the remaining piece of dough into a 12-inch round. 7. 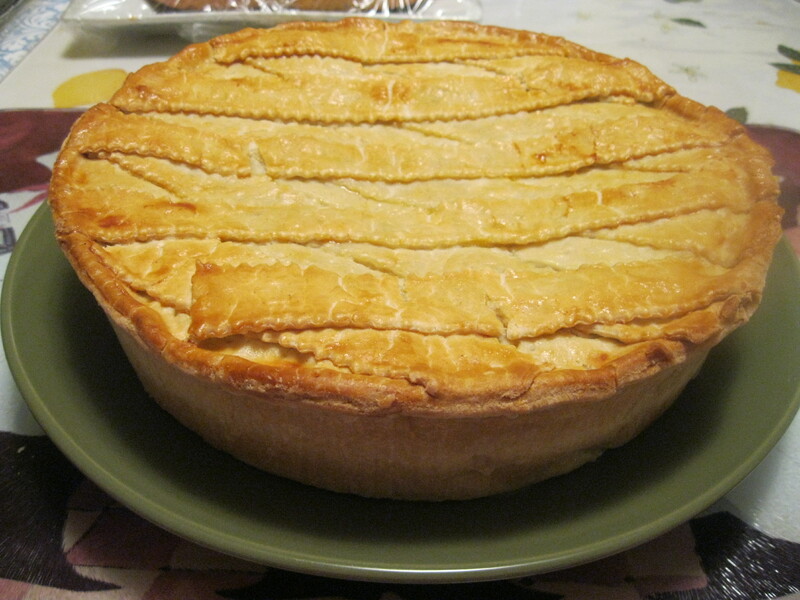 Place the dough over the filling. Pinch the edges of the doughs together to seal, then crimp the dough edges. Let cool for about 15-20 minutes before cutting. I made this last year and making it again. Great recipe! !